Witter: "Just because something is not forbidden by law doesn't mean it is the right thing to do." 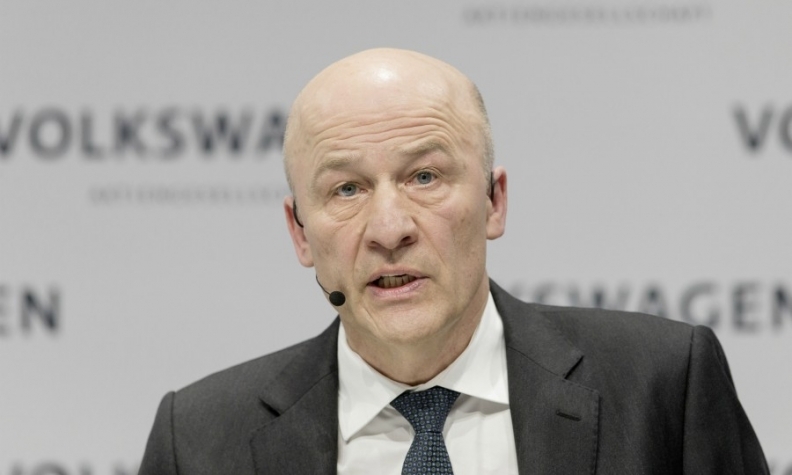 Volkswagen Group finance chief Frank Witter explains why the world's largest automaker is determined to turn VW Truck & Bus into a global champion. The CFO also told Automotive News Europe Correspondent Christiaan Hetzner why he believes that just because something is legal that doesn't mean it is the right thing to do. You oversee the asset review that is part of Volkswagen Group's 2025 strategy. Why did VW recently give the impression that the group would dispose of assets that account for a fifth of group revenue? That figure came out of a very general discussion about the overall relation of core to non-core business across a range of industries and sectors. If you look at a typical company, at least 80 percent is considered core and then there are peripheral activities that make up another 20 percent, roughly speaking. This didn't specifically refer to Volkswagen. Why does VW think it is necessary to consider an initial public offering for its trucks business? Our priority is to create a global champion. That's where our focus lies. We're pushing very hard to leverage synergies between MAN and Scania -- particularly in the area of powertrain, because that is where the money is. But we also have said for the past two years that we do not rule out the strategic option of an IPO for Volkswagen Truck & Bus. Institutional investors often pressure management to boost the stock price by breaking up a company. VW is controlled by the Porsche and Piech families, however, so why do you see a similar need? Every company must examine which option creates the most value. At the moment, it is very popular to unlock hidden value via a listing, but there are disadvantages when it comes to synergies. In five years' time the trend might be different. We have the flexibility to act when we want. We won't let ourselves be pushed by the spirit of the times. Even in October 2015 [during the height of VW's diesel-emissions scandal] we were not in the position where we had to conduct a fire sale. You have said that not everything that is legal is also legitimate. Does this apply to VW's finances? This doesn’t just refer to animal experimentation, but rather is meant in the broader sense. Just because something is not forbidden by law doesn't mean it is the right thing to do. It may be legal for a tech company to engage in a [double] Irish tax arrangement, for example, it is another thing whether you will be happy with that. But Volkswagen benefits from low tax jurisdictions such as Luxembourg? Luxembourg is not a tax haven. That is where our foreign dividends typically are bundled, and they have already been fully taxed in the country where the profits have been made. I think it is legitimate that we also don't want them taxed twice. How do you support your operating business – selling cars – with the help of financing now that benchmark rates like 10-year Treasuries are moving higher? We are talking about a historically low interest rate environment partly characterized by negative rates. A flat yield curve is not natural and was the creation of central banks. That they are rising on the long end actually signifies a return to normality. This offers a lot of advantages for the financial sector in terms of maturity transformation, for example. For us, it is not a problem as long as rates continue to rise at a moderate pace and not erratically or rapidly. As VW Group finance chief, you're in charge of managing a strategic cash reserve of more than 20 billion euros annually. Are you instructing the treasury team to adjust their tactics to market conditions? We don't like to make bets on fluctuations in currency and interest rates, so these are two risks we hedge against, typically over the next two or three years. This means you also sacrifice chances for higher returns but in both cases, we would rather reduce our exposure than engage in speculation.